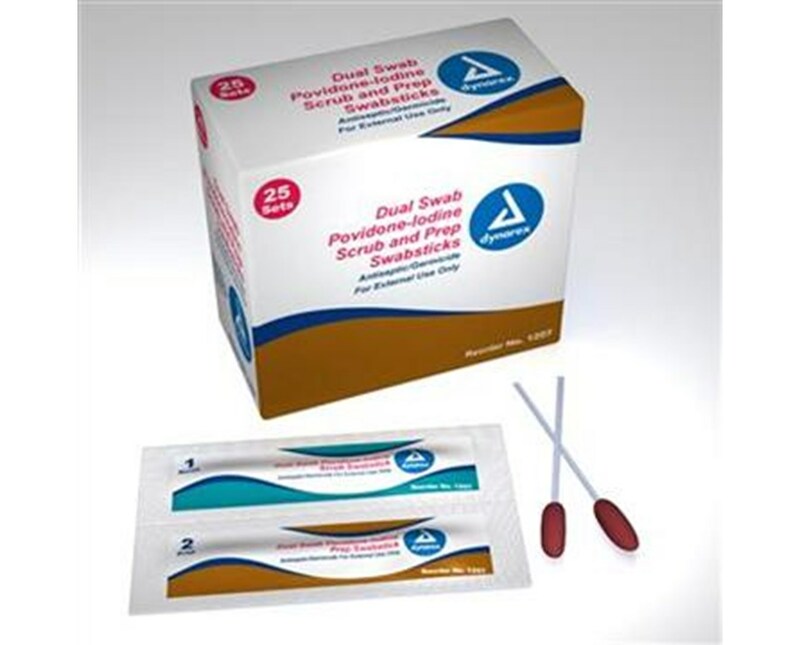 Dynarex Povidone Iodine (PVP) Dual-Scrub Swabsticks are excellent for antiseptic skin preparation prior to injection or venipuncture. These swabs are also great for prepping for dialysis access and for surgical prep. Dynarex PVP Dual-Scrub Swabsticks are excellent for removing dead skin cells, oils, and dirt to make the skin preparation more effective. This swab offers the ability to scrub with one end and prep with the other. Singles swabs are perfect when it only takes one to get the job done. This pack offers convenience and easy disposable access without the waste and mess. No messy iodine pouring or mixing. 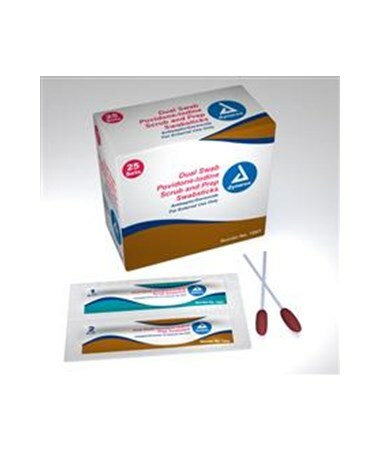 Dynarex Povidone Iodine (PVP) 10% saturated dual-scrub swabs for your antiseptic single-use needs.